If you're having fun, you're learning! As with "bingo" and "lotto" for adults, playing the Tiger Tuesday "Fill-the-House" games requires kids to acquire foundational reading skills in order to win. In no time at all, kids practice and learn to recognize and say the upper case letters of the alphabet. For 2 to 12 players or can be used one-on-one. 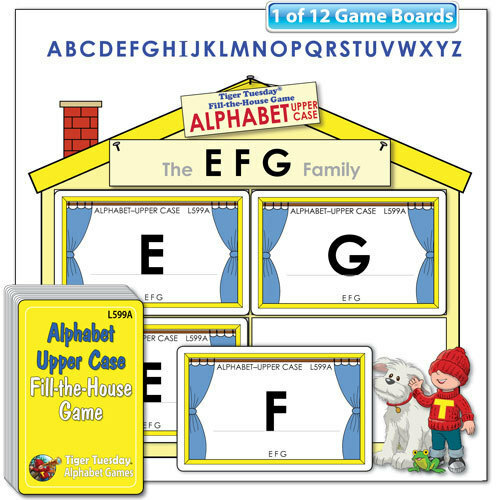 Buy both the upper and lower case games and mix the "house" and "window" boards for more challenging practice!